I am a Mum! Our beautiful son Jonathan was born on the 11th October at 22:17pm. We have become a family of three. Hooray! This has changed our world in so many ways. Nothing has quite prepared us for it. It’s hard. Rewarding. Amazing. But hard. I am writing this with a baby on one arm and my WordPress app opened on my mobile. A new way to try and get those words out there. All writing has gone out the window to make way for this new beginning. Chores have been forgotten most of the time. My attention has shifted to this beautiful boy who is dependent on me. The hardest thing at the moment is sleep deprivation. I have suffered from hallucinations and only get rare snippets of sleep. Welcome to parenthood Ruth… I transform into an ogre at night and my patience wears thin in the early hours. There have been many sleepless nights. Many nights I cry thinking I can’t cope but every night and every day I am making it through. 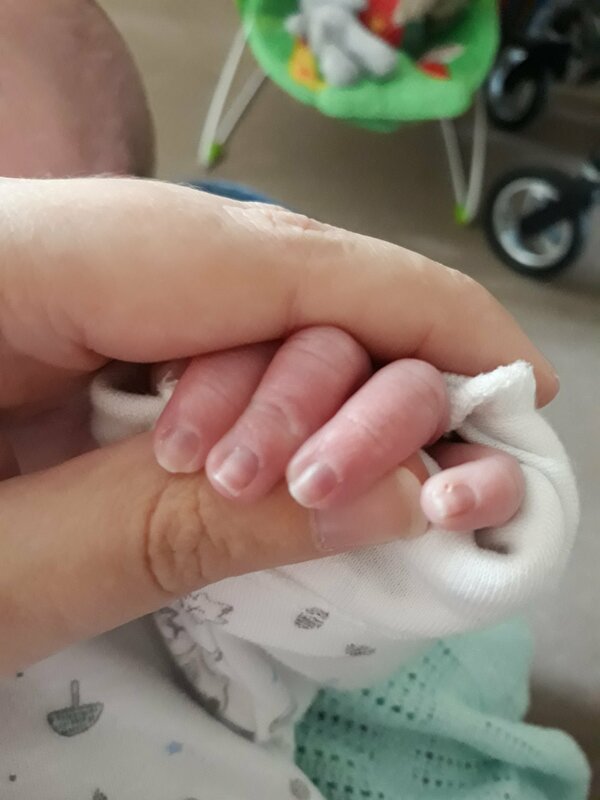 I was induced on the 10th October. It was a long labour resulting in an assisted delivery with forceps. Jonathan and I spent 6 days in hospital after he was born. He had a blip of green vomit. 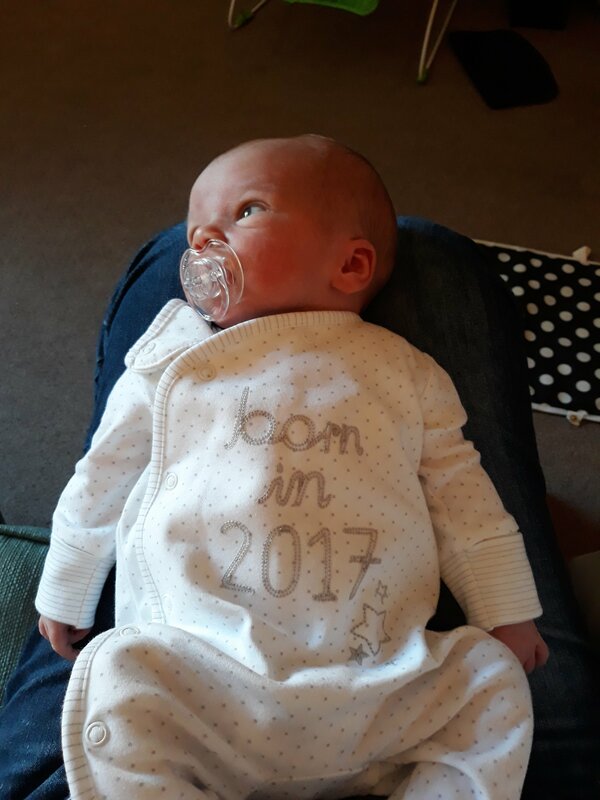 Normally he would have had to go to Bristol for a special scan, but by God’s grace the person who could do the scan was at our hospital on the weekend when we were in – this is normally unheard of and the staff couldn’t believe it. The scan was clear and he was put on antibiotics to be safe. Seeing my 3 day old son being whisked off to neonatal care and having a cannula put in was so hard. I wept. As for me, I lost a lot of blood during labour so had an iron and blood transfusion. Due to a spinal block put in due to the assisted delivery and a catheter (too much info? ), I wasn’t able to get out of bed for a few days. My veins have been so bad since chemo that only anaesthetists could cannulate me. Good job I don’t mind needles! And I survived! Safe arrival of our amazing son. Seeing Joel become a dad and having him by my side through it all. Fantastic care throughout my time at hospital and beyond. Our church family bringing us hot meals every day. My mum and sister visiting from Norfolk. Seeing our parents become grandparents. Cuddles with Joel and Jonathan. Gifts and cards to bless our baby. Our son smiling for the first time. Congratulations to you all! This is exciting to read, and we pray God’s blessings over you all! What you describe is my experience of parenthood when my daughter was born, way back in the 1980s. I had had a very difficult labour, very similar to yours, actually, and, afterwards, I felt very weak and ill… but the hospital midwives still expected me to get up several times a night to breastfeed. Back at home, I couldn’t cope with not sleeping. I thought I was going to break.